Hi, my name is Rich 'Hoffy' Hoffmann. 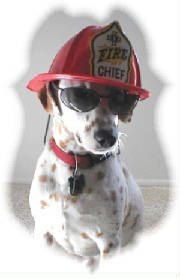 I'm a medically retired Fire Captain/Peace Officer [a.k.a. 'Pig in HEAT!'] with over 22 years of experience serving the folks of the State of California. Thank you for this time to research the industry's SAFEST and most affordable Home Fire Protection Pump System available on the market today! A FIRST that comes Standard with TWO (2) Lines of Protection to ensure each nozzle person can be protected by the other nozzle FIRST! ...FOREMOST! ...ALWAYS! ...and then as an extremely reliable system able to produce enough pressure (246' head) at the right volume (132 gpm) to truly help protect exposed properties and/or structures in the event of a serious Wildland Fire Threat. This past year has again been a grim reminder a few thousands times over regarding the true DANGER of burning embers that can travel and fall from great distances and still somehow find their way into the smallest cracks and crevices between building materials of some of the newest and best fire-resistant construction only to end in complete disaster! The reason I have contacted you is really quite simple. You know first hand who can best benefit from a system as this! A system that essentially converts literally thousands of gallons of otherwise un-usable Pool water into literally hours of continuous PROTECTION during extreme fire conditions. Few realize a typical pool of 25,000 gallons is equal to the water of FIFTY (50) Fire Engines parked ready, willing, and able in the back yard! This is a complete portable system designed to be 'Fire-Ready' at the pool's side in a matter of moments to ensure immediate protection. If an evacuation order is mandated, the home owner can pre-treat the threatened 'Defensible-Space' and then SAFELY evacuate with the piece of mind knowing that Fire Fighters have been provided the additional necessary apparatus and equipment to effectively protect their home and adjacent properties up to a FULL ACRE! My offer to you is the opportunity to earn an extra $100.00 as a Referral Fee from each closed sale generated as a result of you dropping my name, my preprinted postcard [feel free to order as many as you think you'll need! 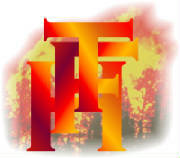 ], and/or other information found on this website [ www.hftfirebuster.com ] which includes two (2) full pages of Fire- and Life-Safety measures literally every family should review and become more familiar! I am not out to make a million as much as I would like to see every high risk property adequately protected! Properties which you are personally familiar with that could best benefit from a system as this! When you see my equipment in your client's backyard, you'll know where you last received your most recent $100 Referral Fee! So without further, here's to everyone's effort to secure a SAFER Pool environment for ALL... From my family to yours!